The ultimate laptop replacement, PAC Mate provides access to everyday Windows-based desktop data and software applications via Microsoft� Pocket PC. By utilizing JAWS� for the Braille and speech output, the eight-dot keyboard in the BNS model works like a personal data assistant. Run Pocket PC versions of popular software programs to manage your information internally or sync up and share data with other devices. Surf the Internet and send and receive e-mail with the addition of a modem. 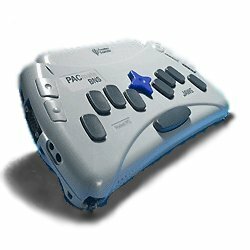 PAC Mate is the definitive handheld computer for those who are blind. One year warranty on hardware and one year of free updates on software.